John Mills-Cockell is a electronic composer living in western Canada. He has created scores for The National Arts Centre, Firehall Arts Centre, Citadel Theatre, Glasgow Museum of Art, Vancouver Playhouse, Phoenix Theatre- University of Victoria, and Bluebridge Theatre among others. Past commissions include works for the National Ballet, Toronto Dance Theatre, Tarragon Theatre, Toronto Repertory Orchestra, St. Lawrence Centre, as well as a great many feature films and shorts by producers in Canada, U.S.A. & the U.K. John is a recipient of many grants and awards during his career as a composer including recognition by Canada Council, Socan and Ontario Arts Council. Canadian Rep Theatre is producing his opera Savitri & Sam with libretto by distinguished playwright/director Ken Gass. He is now composing Kid Catastrophe, a ‘new media opera’ with libretto by Québecois novelist/playwright France Ducasse & designer/sculptor Michael Hayden. “Synthedelia: Psychedelic Electronic Music in the 1960s” in the May 2018 edition. The JMC Retrospective was conceived by producer William Blakeney and is a collection of works recorded between 1967 and 1977. It is a series of 9 disks (both cd & vinyl), 3 each for Intersystems, Syrinx and Heartbeat. Canadian trio Syrinx , lead by electronic music composer John Mills-Cockell , presents an unusual story. The two instrumental albums that Syrinx issued in the early 1970s sound little like the psychedelic rock music that shaped their Toronto subculture, and more different still from the electronic tape music that Mills-Cockell absorbed as a young composer. Instead, the fortuitous path of Syrinx , and their surprising commercial success, stands apart as a beautiful tangent from the dominant mode of 1970s experimental music. 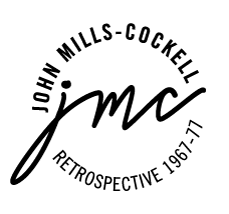 After the breakup of Syrinx, John Mills-Cockell spent the 1970’s recording for theatre, film and television with top session musicians including Doug Pringle. His solo electronic works, realized at Fanshawe College in London, Ontario, are amongst the first “ambient” releases and have been in circulation on the Internet for decades. The third stage of jmc retrospective 1967-1977 will include reissues of the popular True North albums “Heartbeat” and “A Third Testament” together with previously unreleased recordings. This recording, known as “Heartbeat”, is to be released early in 2017. In 1973, JMC moved to London, England with his ARP 2500 synthesizer. “A Third Testament” with British journalist & commentator Malcolm Muggeridge, and “The Stationary Ark” with zoologist Gerald Durrell) came out of this remarkably creative period. The “Theme from The Stationary Ark” has the distinction of being one of the first pieces of “fan music” created for the Commodore 64 home computer. When John returned to Toronto in 1974, he assembled what is referred to as “the Heartbeat Band” with drummer Gordon Philips, a percussionist he had worked with in London. This ensemble featured a fluid lineup of musicians & singers. The original “Heartbeat” album included a number of beautiful electronic pieces created for Canadian theatre companies. These original tapes have been recovered and remastered. One of the standout compositions from this period was a score created in collaboration with artist Michael Hayden for Vancouver’s Anna Wyman Dance Theatre. A progressive rock masterpiece, “Neon Accelerando” was featured in a successful concert tour, but never released on vinyl, to the great disappointment of fans. The music was re-recorded years later at the Mercey Brothers Studio with producer Bart Schoales. The resulting sides appeared as “Gateway” on Anubis Records in Canada, and as “Neon Accelerando” on the Aura label in the UK. The advent of punk rock sadly spelled the end of interest in progressive funk rock. Gateway appeared to be the end of a brilliant recording career, but only for the time being. John went on to become one of the most sought after composers of soundtracks for the burgeoning Canadian Horror movie industry, as well as many others not so gory. His score for “Terror Train” remains a classic of the genre. During this period, JMC also created the music for and appeared with Canadian illusionist Doug Henning. Other than a Live Album recorded by the CBC at the Toronto Harbourfront Centre, Gateway was to be John’s last LP for more than a decade. The Heartbeat reissue will include the entire original Neon Accelerando album, tracks from the lost Syrinx sessions, ambient music from Heartbeat, electronic works from A Third Testament and The Stationary Ark, Gateway and JMC Live in Concert. A remastered and expanded version of the complete Music from A Third Testament is also planned. Currently in development, SAVITRI & SAM is a full-length opera composed by John Mills-Cockell with libretto by Ken Gass. Ken and John had the opera chosen recently to be performed at Fort Worth Texas through the opera company “Frontiers” program. A workshop presentation of 95 minutes from the opera was held at The Citadel (home of Coleman, Lemieux & Co) in September, 2013, starring Zorana Sadiq (Savitri), Michael Barrett (Sam), Marion Newman (Sarindar) and Giles Tompkins (Manjinder), conducted by Gregory Oh and directed by Ken Gass, co-produced by Canadian Rep Theatre and Savitri Project Collective. A follow-up workshop presentation is planned for August 2016, with the aim of a full production within the next two years. John Mills-Cockell has created scores for The National Arts Centre, Firehall Arts Centre, Citadel Theatre, Glasgow Museum of Art, Vancouver Playhouse, University of Victoria Theatre, and Bluebridge Theatre among others.